MOSCOW, June 10. /TASS/. Russia’s Foreign Minister Sergey Lavrov on Saturday will hold talks with Qatar’s visiting Foreign Minister Mohammed bin Abdulrahman Al Thani in Moscow. It is expected that the diplomatic conflict in the Middle East and ways of resolving it will be discussed. 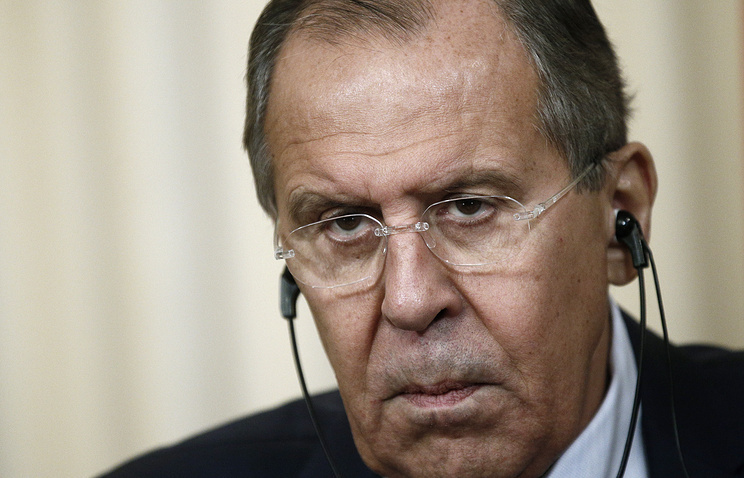 A diplomatic source told TASS on Thursday the foreign ministers would focus on acute international issues. The Russian embassy in Qatar later confirmed the visit. On June 5 Bahrain, the United Arab Emirates, Saudi Arabia, Egypt, Yemen, Libya’s transitional government, the Republic of Maldives and the Republic of Mauritius severed diplomatic relations with Doha in retaliation for what they described as Qatar’s support for terrorism and extremist ideology, and allegedly its hostile policy and intervention in the affairs of Arab states. Mauritania and the Comoro Islands joined in later. Jordan and Djibouti downgraded the status of their diplomatic missions. Some countries declared a number of other measures, including the termination of sea and air links and the expulsion of Qatari diplomats and subjects. Qatar dismissed the charges it was supporting extremists as groundless and said that its foreign policy would remain unchanged. Al Thani said Qatar was firmly against any intervention in its foreign policy. A number of countries have come up with offers of assistance in resolving the crisis. The Emir of Kuwait, Sheikh Sabah Al-Ahmed Al-Jaber Al-Sabah has made trips to Jiddah, Dubai and Doha. US President Donald Trump said he was prepared for arranging a meeting of the conflicting parties in the White House. Russian President Vladimir Putin in a telephone conversation with Qatar’s Emir Tamim bin Hamad Al Thani reaffirmed Moscow was firmly in favor of tackling crises by political and diplomatic means through a dialogue. The Kremlin hopes the Qatar affair will not intervene with the struggle against international terrorism. At the same time Russian presidential aide, Yuri Ushakov, while reviewing efforts exerted by the president and foreign minister for the sake of achieving a political and diplomatic settlement, added that he would not say that Russia had any intention of acting as a mediator between Qatar and the countries that severed relations with it. At the beginning of this week the Russian and Qatari foreign ministers talked by telephone to voice serious concern over the emergence of another hotbed of tensions inside the Arab world. Qatar’s ambassador in Moscow Fahad al-Attyiah met with Russia’s special presidential envoy for the Middle East and Africa, Deputy Foreign Minister Mikhail Bogdanov and explained Doha’s vision of the situation following the severing of diplomatic relations with a number of Arab countries.